I knew from an early age that I wanted to work in the theatre, and didn’t care so much which job I held. While I loved the process of creating a role as an actress, I also loved dancing, building sets and costumes and anything else that allowed me to be a part of the creative process. I didn’t know the word ‘generalist’ then, I just wanted to do it all. I found a warm welcome by the entire performing and production arts team at San Jose City College. They encouraged my multi-disciplinary leanings, while instilling a strong work ethic and sense of team spirit in me: there were no small roles – or tasks – in their program. We built sets, hung lights, stage managed productions, and sweat over every layer of subtext in our character’s dialogue. I credit Stuart, Ben, Bill, Nancy and Jimmlee for teaching me much more than ‘upstage and downstage’. My work is still influenced by their lessons. And by those of James P. Reber, founder of the San Jose Repertory Company, who taught me to always remember that there are two words in the phrase ‘show business’. After earning an Associates Degree in Theater and Dance at SJCC, I continued my training ‘on the job’ in California and then New York through assignments as an actor, writer, director and producer of semi-professional, ‘showcase’, off-off Broadway and workshop productions. I danced my way around the Bay Area, and acted and worked backstage for a season or two at multiple Bay Area theater companies. 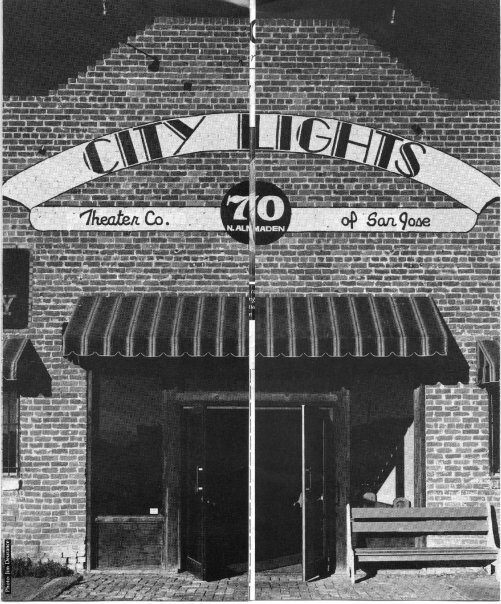 I served a brief but productive stint as producer for City Lights Theater Company in San Jose California, spearheading their move from a church basement to a re-purposed home of their own in the downtown re-development area. From there, I moved on to a two year stint as the assistant to James P. Reber, founder of the San Jose Repertory Company. Many of the projects I worked on through the years have had tight budgets and teams made up of people from diverse backgrounds and disciplines, at varying levels of experience. The challenges posed by these projects, and my mentors’ good advice, instilled a belief in encouraging an ensemble approach to projects, while offering clear leadership, the combination of which tends to rally team members around the common goal of creating a successful show, no matter their role in the project. This hybrid approach (ensemble + leadership) is a hallmark of my working style today, and encourages all involved to feel invested in the success of the project, while offering the support they need in order to feel safe and fully invested in the project. Moving to New York City, I spent 4 years as a freelance actor, director and stage hand, before landing at the Westbeth Theater Center as associate producer & venue manager, where I worked with Arnold Engelman to rehabilitate the reputation of that 18,000 sq. ft. multi-stage facility. 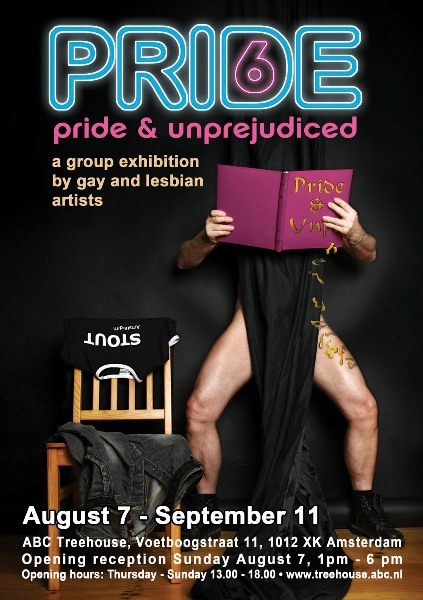 Winning rave reviews for our work with emerging artists, as well as established artists such as Ray Davies, Sandra Bernhardt, Henry Rollins and Eddie Izzard, we produced numerous showcases, workshops, Off Broadway productions and music events. 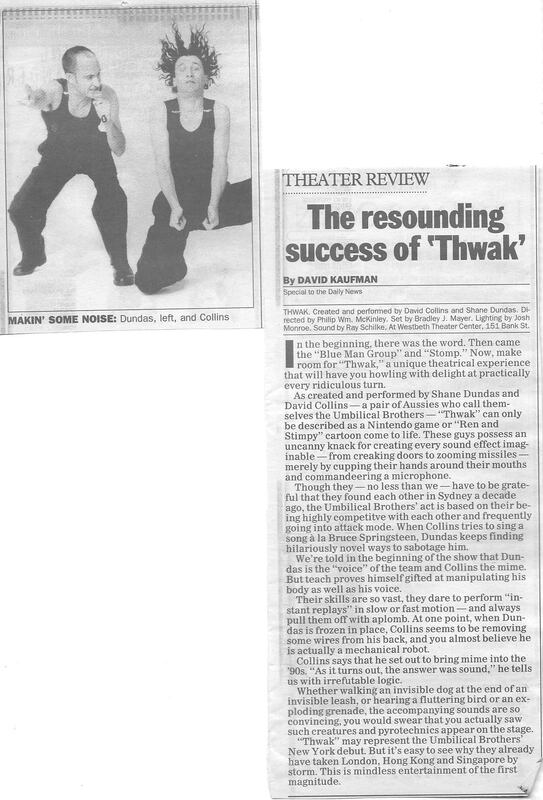 As a talent and project scout for the Westbeth, I helped bring theater artists as divergent as The Umbilical Brothers -Thwak! 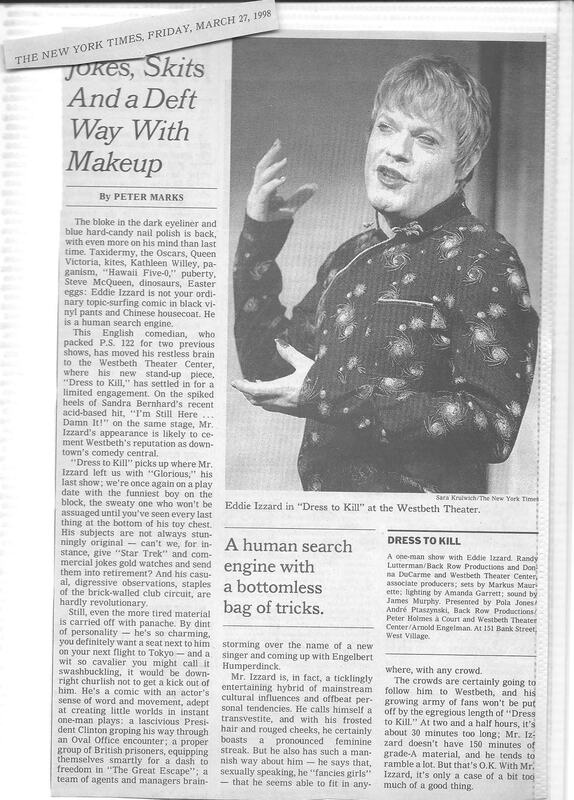 (physical theater) and “Hedwig and the Angry Inch (cult rock musical) to the New York stage. As a dramaturge and developmental director, I worked with emerging artists such as Elisa deCarlo (Size Matters), Jennifer Jiles (Kicking and Screaming), and many others through our New Works program. While in Amsterdam, I continued directing and producing as Artistic Director of Theaterworks Amsterdam. 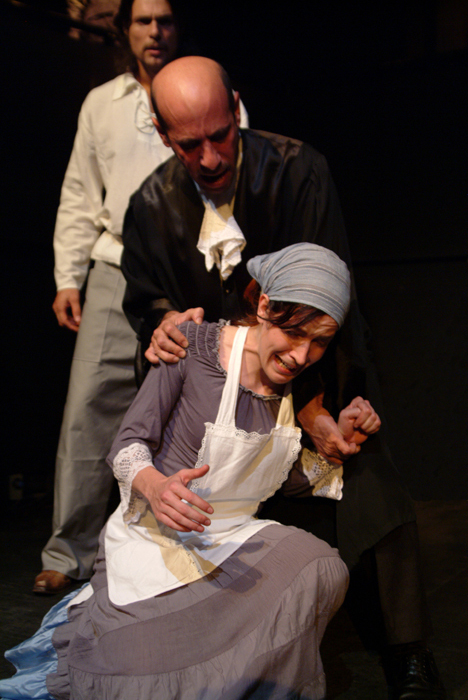 Originally produced when I worked for City Lights Theater Company in California “A California Christmas Carol” (with Roy Zimmerman) is a modern spoof of Dickens’ classic tale, which was subsequently updated and staged off-off Broadway in New York City. Followed up by “Ms. 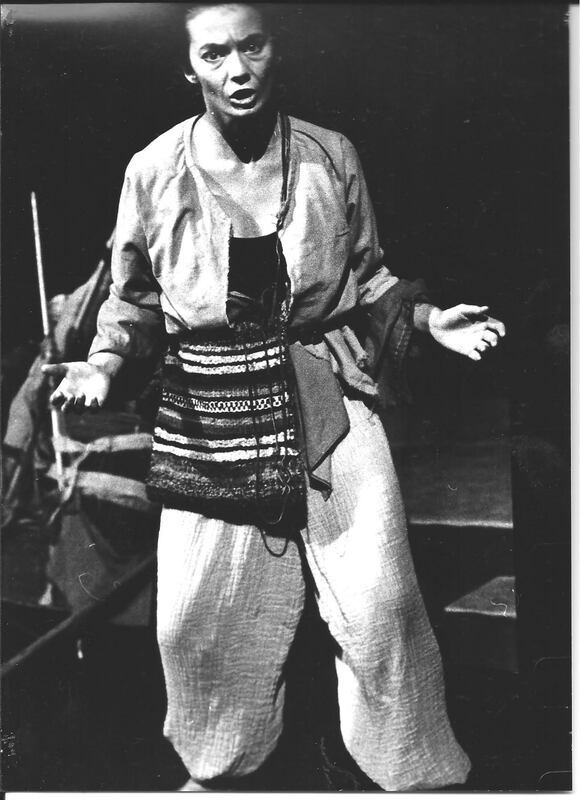 Lysistrata” (Aristophanes),”The Looking Lass” (Carroll) in New York and Amsterdam, and ‘Hustlin’ Shakespeare”, in Amsterdam, the collection makes up my “old guy” stage series. I’ve edited classic novellas (Steinbeck & Carroll) for theatrical presentation, translated and written for the the Dutch film industry, and often work with both English & Dutch writers to develop scripts for stage and screen. I had no experience as a curator when I inherited the program at the start of my tenure as director of the ABC Treehouse in Amsterdam, but by the time I left six years later, I had hosted over 50 art exhibitions, curating a number of them, and showcasing visual artists as divergent as a Laser 3.14 (street art), Rene Zuiderveld and Patricia Ribas (photography), Chantz Perkins (sculpture), and Harold Seiwert (CGI). 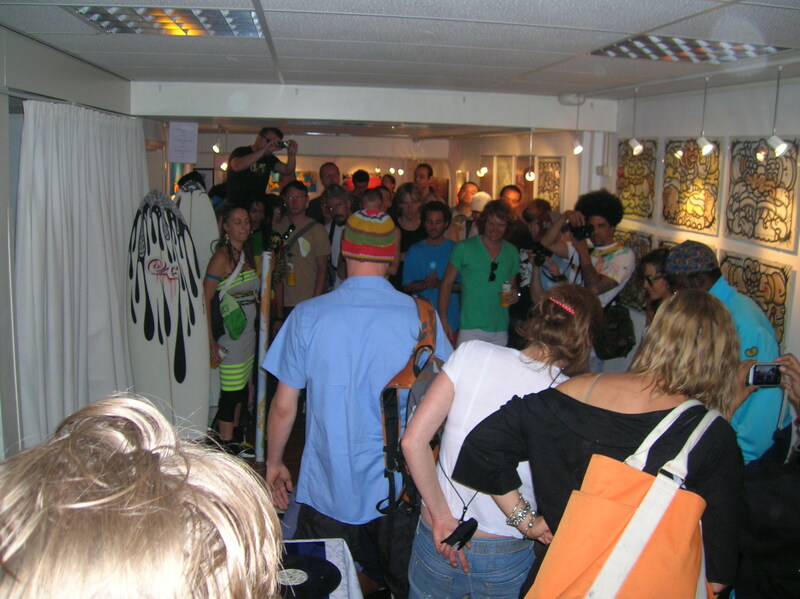 Highlights of the exhibition program included a groundbreaking Street Art exhibit (Aerosol Odyssy, curated by Laser 3.14), which predated Amsterdam’s current love affair with this controversial art-form; multiple Gay Pride exhibits, which were the largest of their kind at that time in the Netherlands; an Urban Arts and Crafts event which had the ‘handmade’ community working side by side with street artists; and multiple exhibits highlighting the (not always popular) multicultural nature of Amsterdam.